I think that it first needs to be pointed out that this book is about cheating. 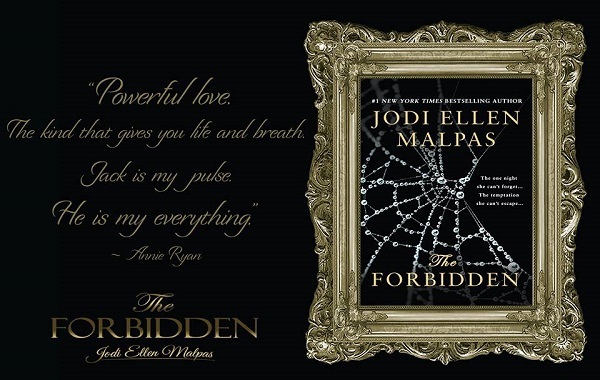 The main characters have, what the title suggests – a forbidden affair. Annie has been all about her new career now for a while. 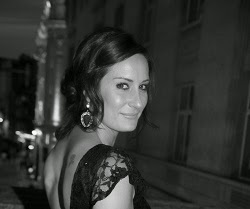 Even her friends make fun of her – she's an up and coming architect and because of that, she is constantly working. Finally able to afford her own place, she is all about new beginnings and fresh starts. Her friends are also giving her a hard time about her lack of men. Micky is her best friend since forever and Lizzy and Nat are her closest girlfriends. They all are woven into the story well and I hope we get to see more from them. Jack is struggling with life. He is in an abusive relationship and his work is his only escape. He heads to the bar in order to escape a life he knows he shouldn't be trapped in. When he notices Annie, he just can't help himself. Despite knowing it's wrong, he can't seem to get Annie out of his mind or away from his bed. What follows is a twisted love story. One where people know they shouldn't be together, but their pull and love is too strong for even them to break. There is judgment, hatred, love and ultimately, each character has to decide for themselves whether or not there will be anything else. This is a well-rounded story that seems fairly honest about cheating and how guilty the included parties behave. While I wouldn't say that it was on par with the This Man series, I can definitely see its appeal. The premise of the book is about something rarely written about: adultery. Annie meets Jack at a bar and the attraction between the two is off the charts. After leaving his hotel room, Annie regrets not finding out his last name because of the connection she feels to him. Several weeks later as she is hosting a house warming party for herself, who appears at her door? Jack and his wife. Immediately Annie regrets what happened and the immense guilt over what she has done overwhelms her. Jack is relentless in his pursuit of her and eventually, Annie gives in. The premise is solid and the characters are well written. What bothered me was the reason why Jack's marriage was failing. Yes, it could happen, but more realistically life doesn't give you such a clear cut reason why a marriage doesn't work. The book was written in its entirety from Annie's point of view and her angst, guilt, and love are expressed in such a manner that the emotions are leaping off the page. I would have liked a few chapters where we get to see Jack's point of view, his feelings, and how he reacts to the situation they find themselves in. This sure is a difficult book to review. I loved it, madness and all, even if I shouldn't have. The fact that it does veer into the very unlikely level of crazy, (in my opinion) it actually made it easier to read – perhaps because it took the forbidden element in a different direction. I could not help but like Jack; his life choices may be debatable, but the man himself is most definitely hot, desirable, and intelligent. How he and Annie cope with life's latest adventure may not be acceptable to all – but placed in the situation, I wonder how many people would risk all for a feeling of rightness? This well-penned story gives the reader plenty to think about, a lot to enjoy, and maybe a revised view of what the limits are, and why. I definitely intend to put this in my reread pile, because in my haste to know just how it would work out, I may have missed sleep and therefore nuance with my tired brain! Writing powerful love stories and creating addictive characters have become her passion—a passion she now shares with her devoted readers. She’s a proud #1 New York Times bestselling author, and all six of her published novels were New York Times bestsellers, in addition to being international and Sunday Times bestsellers. Her work is published in more than twenty languages across the world. 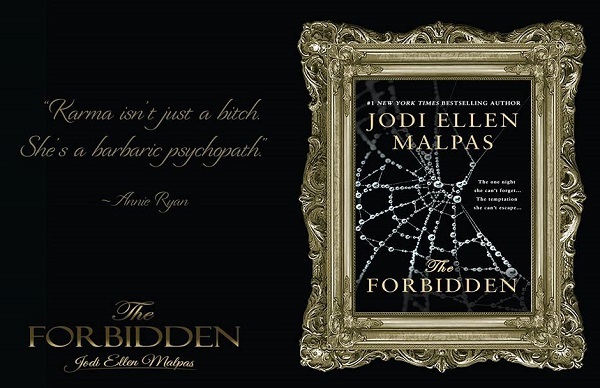 Reviewers on the Wicked Reads Review Team were provided a free copy of The Forbidden by Jodi Ellen Malpas to read and review.